MST Papa-4 personnel investigate an RPC-244-2 disruption in Kolkata on ██/██/2017. Containment Protocols: UPDATE 28/10/2016: New Containment Protocols are currently under development. The following is to be considered provisional. With the ongoing success of Project Mauna in minimizing the negative effects of RPC-244-1, containment of RPC-244 is now focused primarily on the observation and analysis of the RPC-244-2 phenomenon. As RPC-244-2 is fundamentally integrated into the commercial shipping system of India, it has been determined that physical containment of its effects would have a significant detrimental effect to the economic stability of the region. As such, containment of RPC-244-2 will focus on minimizing the spread of data related to the phenomenon. MST Papa-4 "Big Rig Vedas" is currently embedded within the Indian Ministry of Road Transport and Highways, as well as various independent statistics-monitoring groups, for the express purpose of altering traffic data to remove the characteristic alterations caused by RPC-244-2. RPC-244-1 manifests as an altered emotional state capable of occurring in any conscious human being operating a commercial freight automobile within the bounds of RPC-244. While experiencing RPC-244-1, subjects report undergoing strong feelings of detachment, relaxation and apathy. Minor feelings of religious awe have also been reported in subjects who are devout Hindus. RPC-244-1 generally reduces the ability of subjects to properly control their vehicles. RPC-244-1 experiences have been observed to range in duration from several seconds to approximately 3 hours, with an average time of 11 minutes. When debriefed after the effect has ceased, RPC-244-1 subjects generally have difficulty recalling anything but their emotional state during the event. In light of the negative effects to public safety and the common occurrence of RPC-244-1, the Authority launched Project Mauna on ██/██/1944 in an effort to reduce the impacts of RPC-244-1. Following two years of development, the project produced the Type-1 Mauna Interference Generator, a subsonic emitter capable of temporarily reducing the average duration of RPC-244-1 to approximately 0.5 seconds. In order to ensure maximum dispersal of the Mauna frequency, generators were installed in all Authority vehicles in India, as well as all vehicles imported to or constructed in that country since 1946. Mauna generators are built into the horn or klaxon systems of the vehicle, and triggered during the emission of sound. 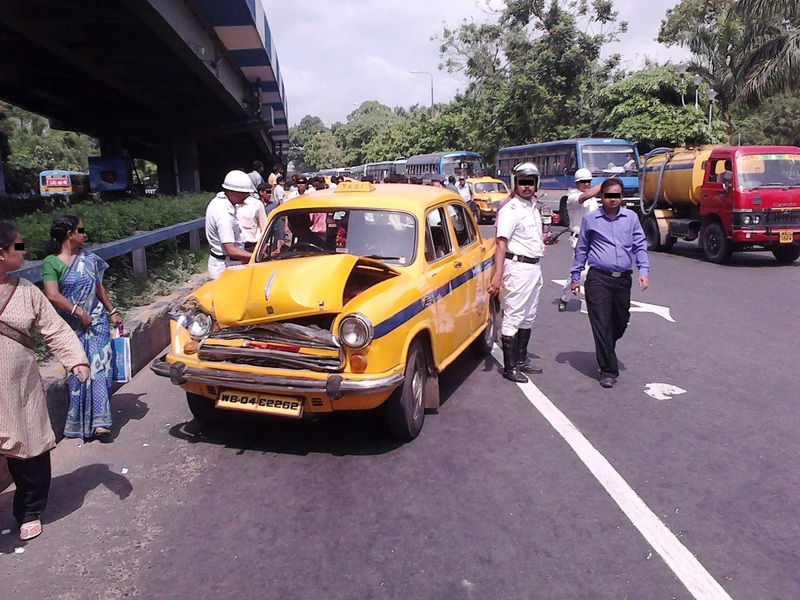 A series of successful cultural manipulation campaigns to inculcate the regular use of vehicle horns as signalling aids in areas affected by RPC-244 has led to a significant reduction in road accidents and delays as a result of prolonged RPC-244-1 manifestations. RPC-244-2 is the general term for minor disruptions to road traffic that occur concurrently to manifestations of RPC-244-1. It is unclear whether RPC-244-1 triggers RPC-244-2, or vice-versa. Such disruptions have included inexplicable structural failures in bridges, non-fatal but large-scale traffic collisions, minor landslides, unexpected breakdowns of ferry and rail equipment in bottleneck areas, and police road closures due to a wide variety of minor accidents and crimes. No RPC-244-triggered event has been known to cause loss of human life (See Addendum 24/10/2016 below) or the total cessation of commercial traffic through the area. In regions with road networks dedicated solely to commercial traffic, RPC-244 events have never been observed to occur in non-commercial areas. The success of Project Mauna has in no way affected the incidence of RPC-244-2, and no cause for RPC-244-2 has yet been discovered or adequately explained. Research is ongoing. RPC-244 disruptions occur in groups of 5, 10, 18, 108 or 1008 incidents occurring simultaneously nationwide, or, if RPC-244 is currently localized, within a specific area. When I see the patterns present in 244-2, it becomes increasingly clear that it should be our primary area of study. The simple fact of the matter is that RPC-244's disruptions align perfectly in structure with the repetitive Japa mantras practiced by certain Hindu holy men. Repetitions of incidents in groups of 108, on predictable, consistent cycles- such are the hallmarks of the Japa pursuit of ascetic moksha. This leads me to conclusions which I am not wholly certain I am comfortable with. Something in this nation woke up some time around the introduction of the automobile. Addendum 24/10/2016: Following a series of border skirmishes in the province of Jammu and Kashmir between Indian and Pakistani forces that resulted in several civilian casualties on both sides, Papa-4 monitoring teams noted a significant uptick in RPC-244-2 events. In approximately three-quarters of these events, casualties resulted, with ██ recorded deaths total. Damaged vehicles and infrastructure were of Pakistani manufacture or origin, and in all cases in which injuries occurred victims were of Pakistani descent or political affiliation. Addendum 28/10/2016: 5 RPC-244-2 events are registered within the bounds of Jammu and Kashmir, indicating that the RPC-244 effect may have begun to spread. All RPC-244-2 events resulted in casualties, and in all cases victims were of Pakistani descent or political affiliation. New containment protocols are currently under development. 1. The effect appears to be present only within the confines of the borders of the post-Partition Republic of India, and is not present increasingly common in the disputed areas of Jammu and Kashmir. 2. Since 1975, basic ANDSoft programs have been standard on all Authority database computers to detect and minimize the risk of statistical impact from mathematical or probability-altering anomalies. 3. As RPC-244 seems to abide by the traditional Hindu lunar calendar, exact transposition of dates into the Gregorian calendar is difficult. 4. The spring festival celebrating the end of winter and the victory of good over evil. 5. Celebrations of the birth of Hanuman, the monkey god who symbolizes strength, energy and wisdom. 6. Celebration of Ganesh, the popular elephant-headed god who oversees auspicious beginnings. 7. Festival of Durga, the mother-goddess who symbolizes the act of creation. 8. The Kumbh Mela is a large-scale pilgrimage to one of several holy rivers in India, and is one of the most important Hindu religious events.